Next Rendez-Vous in Canet En Roussillon on October 17 to 20 2019. All the cruising catamarans and trimarans offered for sale – both sail and motor – will be presented afloat. On the nearby quais visitors will find a village entirely dedicated to catamarans, bringing together all useful equipment and services: equipment, electronics, deck and sail fittings, financing solutions, insurance and maritime surveys, not to mention transport, charter, blue-water cruising advice, etc. 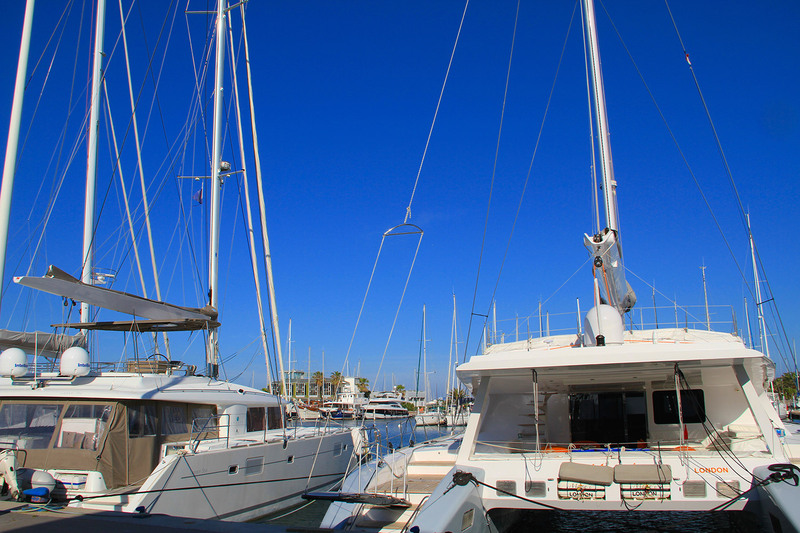 With several dozen pre-owned catamarans gathered together in Canet Marina, you will discover a wide range of vessels at all prices. From modest to the most luxurious, you will discover great deals for all budgets. In addition to the quayside presentation of boats, a village of numerous shipchandlers and service providers will welcome you to present the latest innovations of the world of catamarans. 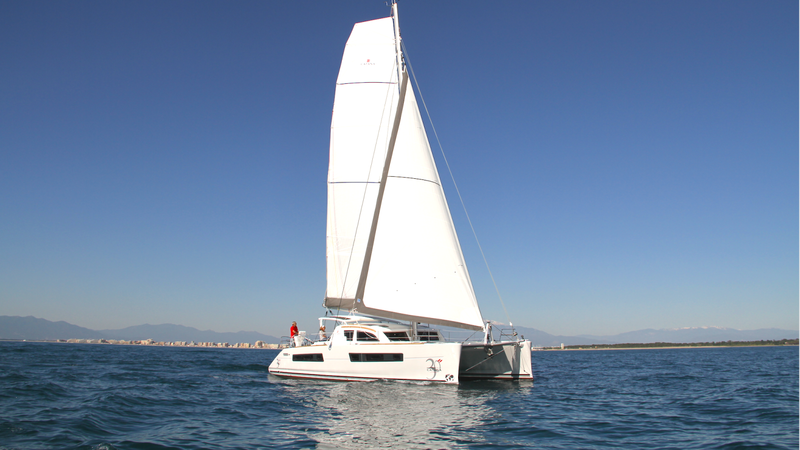 From October 17 to 20 2019, the port of Canet invites you to discover pre-owned catamarans in a festive, friendly atmosphere. Demos, competitions, presentations, etc. – various events are programmed over the 4 days of the show. Take advantage of this event to make a getaway to the region of Catalonia: Perpignan, Canet-en-Roussillon, Collioure, the Côte Vermeille and hinterland will fascinate you with their diversity – under the sunniest of skies! Make a getaway to discover and enjoy the Catalan lifestyle! NAUTIPOLE MEDITERRANÉE is an association under the “cluster of businesses” label that groups around twenty professional companies of the yachting industry, located predominantly in the Nautical Hub of Canet-en-Roussillon. With approximately 200 employees and 34,500 K€ of turnover, these companies combine all of the trades of the yachting industry and possess specific expertise in the catamaran sector. On the strength of its skills in this area, and benefiting from a context that is favourable to the multihull market, the association has taken the decision to create an international event for autumn 2015: the first pre-owned multihull show. Before validating the strategic choice of this complementary event for the multihull market in Canet-en-Roussillon, Nautipole Méditerranée approached the organiser of the SIM (International Multihull Exhibition) of La Grande Motte.